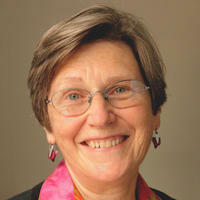 Sr. Simone Campbell, Executive Director of NETWORK, a national Catholic social justice lobby. Are “straying” far from the fold. Say the sisters, doing as Jesus told. To life and love, not power. Held hostage by the wealthy. On the highways and the byways. Drive for faith, family, fairness. So they can do as Jesus told. And in our shared humanity. Connect with the N uns on the Bus starting in Iowa June 18 and ending in Virginia on July 2, with stops in Wisconsin, Illinois, Indiana, Michigan, Ohio, Pennsylvania and Maryland. Learn more about the vital work the sisters do and how the Ryan Budget would gravely harm the services they provide to those in need. And here are other ways to support their bus tour for social justice. I am cheering for my new culture hero Sr. Simone Campbell. The brave work that the nuns continue to do stirs me to greater social justice consciousness and activism.As Sister Simone sits down to confer with the Vatican this week, I am sending out prayers for her and all of her sisters in arms. Hope all “the fallen away Catholics” see hope for a better church–and society– in Sr. Simone and the Nuns on the Bus! Thanks for the comment, Pat. You are ALWAYS a source of encouragement and inspiration. You have done so much for the communities you are part of wherever you are with your own social justice activism. And I have learned a great deal from you and Karen. Mahalo! out there speaking, no-nonsense, with a simple truth, to power.